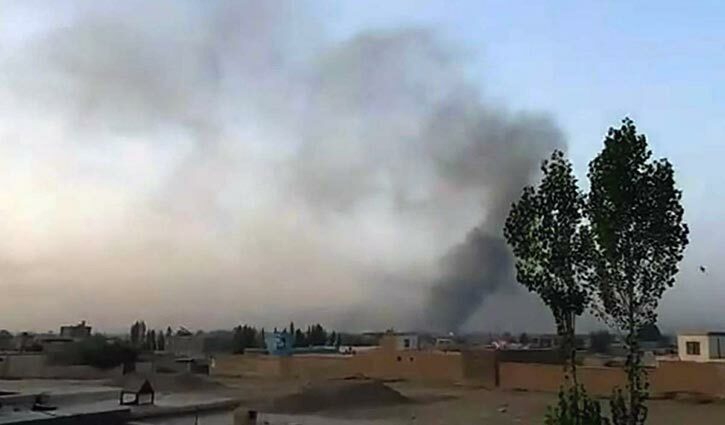 International Desk: The Taliban launched a brazen attack on the strategic Afghan city of Ghazni, south of the capital Kabul, in the early hours of Friday, seizing a number of key buildings and trading fire with security forces. Afghan soldiers fought back as the heavily-armed militants converged from four sides of the province, resulting in multiple casualties on all sides, Ghazni government spokesman Mohammad Arif Noori told CNN. Heavy fighting was ongoing as of Friday afternoon in the city, where Afghan and NATO forces were engaging fighters "by air and ground," Noori said. Taliban spokesman Zabiullah Mujahid said in a statement that hundreds of fighters armed with heavy and light weapons entered Ghazni city around 1 a.m. local time, capturing a number of strategic sites within the city and killing more than 140 Afghan soldiers. The US disputed that figure, saying initial reports indicated there were "minimal Afghan security force casualties." In a tweet, US Forces Afghanistan called the attack a "failed attempt" to seize territory "while creating strategically inconsequential headlines."